If you rely solely on the new withholding tables, you could run the risk of significantly under-withholding your federal income taxes. As a result, you might face an unexpectedly high tax bill when you file your 2018 tax return next year. 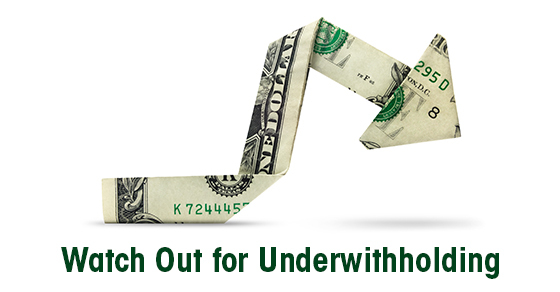 Contact Derek Mathews at 225-926-1050 for help determining whether you should adjust your withholding. We can also answer any questions you have about how the TCJA may affect your particular situation.